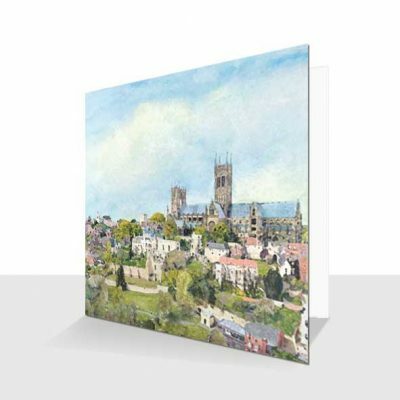 A luxury art print card titled “Stork” designed by artist Kay Burton, from the Up in the Sky collection. 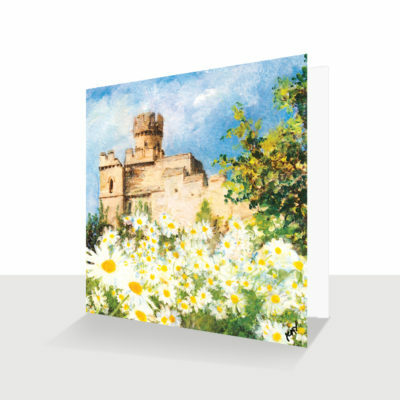 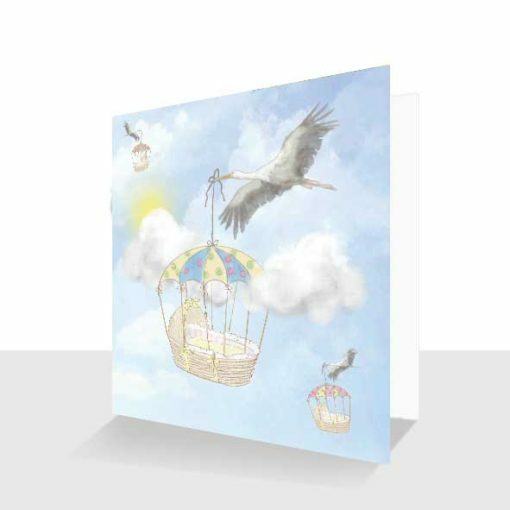 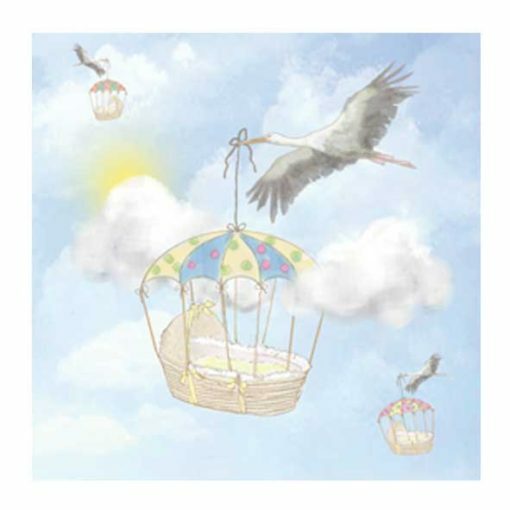 A fun fantasy card with storks flying up in the sky carrying baby baskets amongst the clouds. 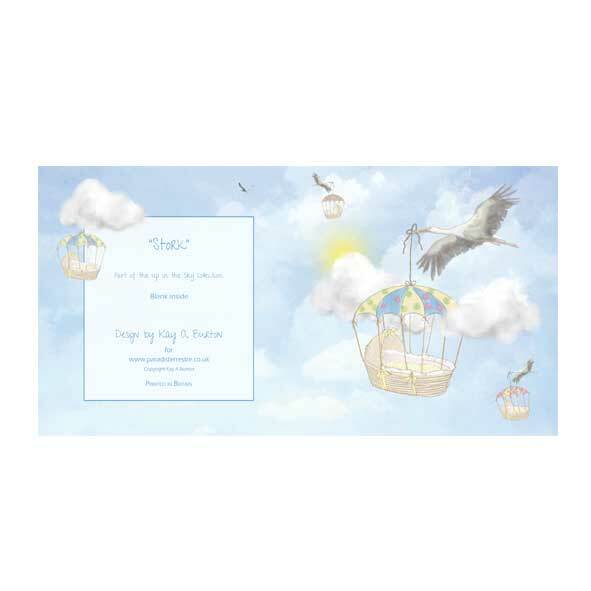 Suitable for a new baby boy or new baby girl. 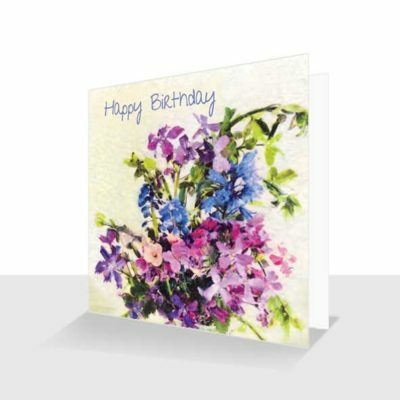 Congratulate New Grandparents card or New parents of the new arrival.